Co-presidents of the Sports intergroup Santiago Fisas and Marc Tarabella agreed on “the privilege of being part of the Sport Intergroup since its creation”. They also placed the focus on the work of sport stakeholders, thanking volunteers, clubs, federations and different leagues which altogether constitute the European core of Sport. In their final remarks, they reinforced the idea of sport as an essential tool for the positive development of society, integration and collaborative initiatives. 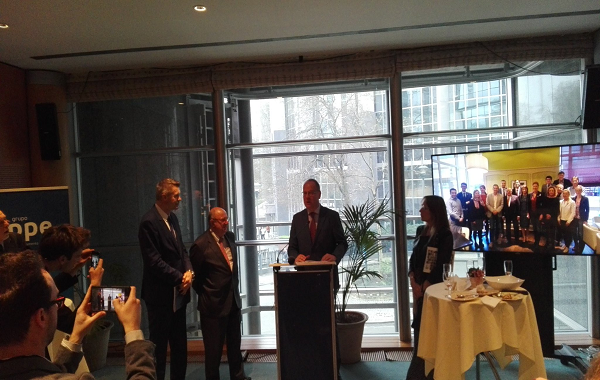 Commissioner of Education, Culture, Youth and Sport Tibor Navracsics highlighted Sport as a crucial concept in building communities. He was pleased to see the support that Sport Intergroup provided in promoting social inclusion through sport and felt impressed about all the initiatives, events and conferences successfully organized in the last 5 years.